Opinions of a Moody Mama: The Mentalist: The Complete Third Season on DVD Available Now! 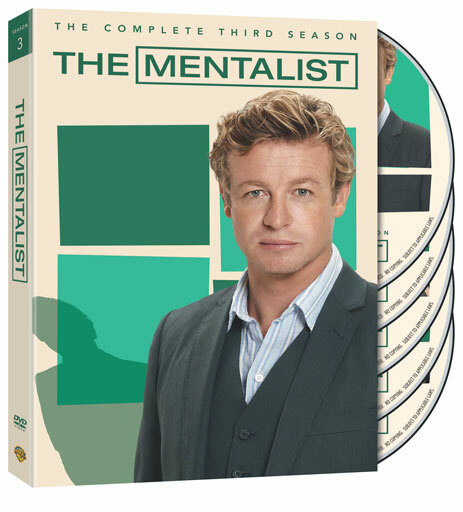 The Mentalist: The Complete Third Season on DVD Available Now! During Season 3, Patrick is on a mission to identify who Red John’s mole within the CBI is. Before Patrick revealed the mole, who did you suspect it was? What clues led you to suspect that person? I personally thought that Red John's mole was the CBI's director, Gale Bertram, right up until FBI agent Craig O'Laughlin was outed! I was especially convinced when Patrick brought Bertram to the food court at the mall. The show did a great job of making Bertram look like the mole, in my opinion. I was on the edge of my seat as the story unfolded, and was totally shocked by the series of events that occurred to bring the real mole to light. Order your copy of The Mentalist: The Complete Third Season on DVD here today: http://bit.ly/rcKZxk! I have been hired by Warner Bros. WBWord division to promote The Mentalist: The Complete Third Season on DVD. Baby Rock Apparel Review & Discount Code!